A federal trial revealed more details of a pay-to-pay recruiting scandal, darkening the cloud hanging over college basketball for a second straight season. But will it make a difference? Outside of a handful of suspensions, the curtain pullback of the sport’s worst-kept secret had little impact last year. The 2018-19 season could take a similar route. Two trials are still coming and more details could emerge from a federal investigation into shady recruiting practices, so college basketball may still feel a major jolt. But the sport is perhaps better than ever on the court. Scoring remains up, more star-in-the-making freshmen dot rosters across the country, blue blood programs have restocked and the mid-majors have more reason for optimism after Loyola-Chicago’s Final Four run. Unless something monumental arises from the investigation or the NCAA, don’t expect too much to change. College basketball was rocked before the 2017-18 season started when 10 people, including four assistant coaches from prominent programs, were arrested on accusations that they funneled up to six-figure payments to top-tier recruits to influence their choice of schools, apparel companies and agents. More accusations came out during the season and a federal trial last month led to the convictions of three men on fraud charges. Testimony during the trial revealed more accusations of paying players by Arizona, Louisville, Kansas, Duke, Oregon and North Carolina State, among others. The NCAA has created new rules based on recommendations by a commission headed by Condoleezza Rice in hopes of curtailing the pay-to-play practices, but may not punish any programs or coaches ensnared in the probe until after the final trial, which is scheduled for after the Final Four in Minneapolis. THE FRESHMEN: More high-level freshmen seem to have huge impacts every season and this year should be no different. Duke has three of the top freshmen on one team, with projected No. 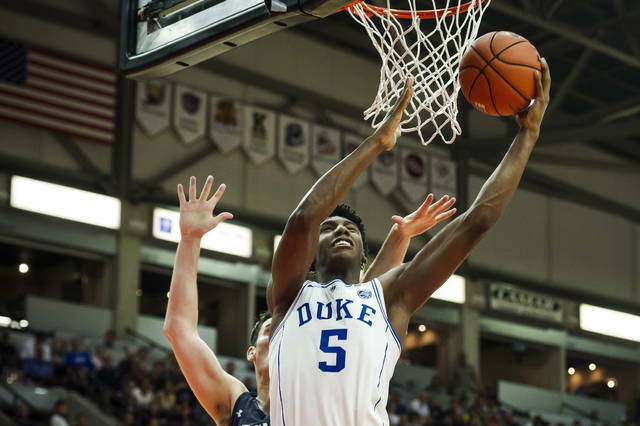 1 NBA pick R.J. Barrett, projected rim wrecker Zion Williamson and Cam Reddish adding another five-star haul to Coach K’s loaded recruiting class. Indiana coach Archie Miller got a huge boost toward getting the Hoosiers back to the NCAA Tournament by convincing Romeo Langford to stay in state. 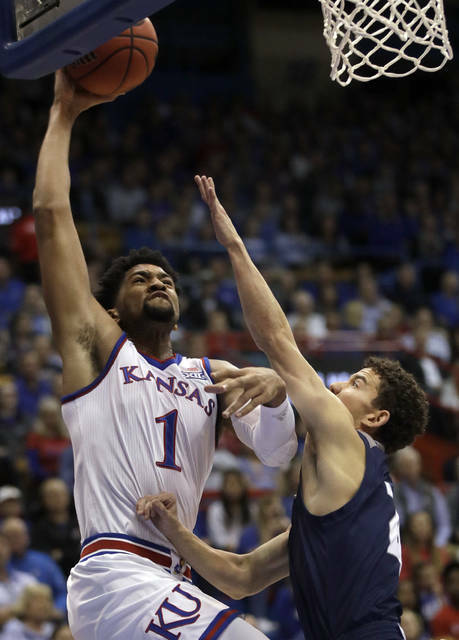 North Carolina’s Nassir Little could be an NBA lottery pick after this season, Quentin Grimes is Kansas coach Bill Self’s latest high-level freshman guard and Keldon Johnson may be the best player among coach John Calipari’s latest stellar recruiting class. MID-MAJOR MARK: Mid-major programs should get a boost of confidence this year after watching UMBC beat Virginia to become the first No. 16 seed to beat a No. 1 and Chicago-Loyola’s improbable run to the Final Four. This season has plenty of deep-run-potential mid-majors. No. 7 Nevada has its highest preseason ranking and coach Eric Musselman has a loaded roster in Reno. Buffalo has five of its top six scorers back from a team that knocked off Arizona in the opening round of the NCAAs. Marshall and coach Dan D’Antoni have plenty coming back after knocking off Wichita State in last year’s opening round and Western Kentucky landed one of the nation’s top freshmen in big man Charles Bassey. And never count out Loyola-Chicago and Sister Jean after what they did last year. THE FAVORITES: Kansas is the preseason No. 1 for the third time behind a loaded roster that includes a stellar recruiting class and preseason All-American Dedric Lawson, a transfer from Memphis. No. 2 Kentucky has a similar type of roster, with former Stanford forward Reid Travis now in Lexington to lead a young, talented team. No. 3 Gonzaga reached the Final Four two seasons ago and may have a more talented roster this season, though it will have to play the first two months without do-it-all forward Killian Tillie due to an ankle surgery. No. 4 Duke has all those talented freshmen, No. 5 Virginia has plenty of talent coming back and motivation after losing in the NCAA first round, and No. 6 Tennessee has the type of roster that could lead to the program’s first Final Four.